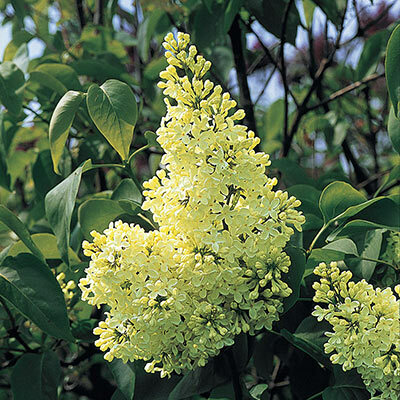 The World's Only Yellow Lilac! Lilacs are pretty enough on their own, but add to them a unique color and you have a marvel of nature. Primrose Lilac yields large, pastel yellow panicles that start showing up in late spring. Lilacs bloom for just a few weeks, but what they lack in bloom time, they make up for in fragrance. Their sweet smell fills the spring air—be sure to plant Primrose near a window so you can enjoy the fragrance as the breeze carries it inside. 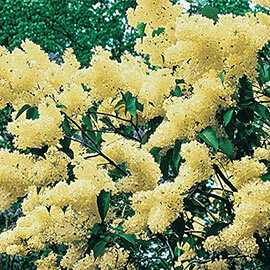 The light yellow blooms will turn a darker shade as they mature. Depth: Set at same soil level as planted in container, firm soil and water thoroughly. Color: Pastel-yellow blossoms. (primrose lilac). Fragrant. 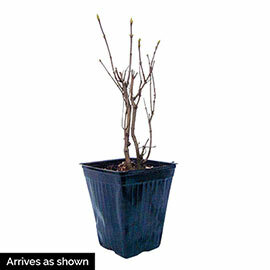 Foliage: Medium matte green, heart-shaped foliage. Deciduous. Soil Requirements: Well-drainedl soil high in organic matter. Growth Rate: Medium growth rate. Fast once established. Pruning: Old flowers should be pruned after flower blossoms fade. Size: 1/8 - 1/4 inches long.